Once you’ve made your own ricotta, it will be very difficult to go back to using the store bought stuff. Heat the milk, cream and buttermilk over medium heat, stirring occasionally to prevent scorching. Once it has reached 190F, take off the heat and stir in the apple cider vinegar. You can use a different vinegar or lemon juice if you want, really any acid works… just not LSD. 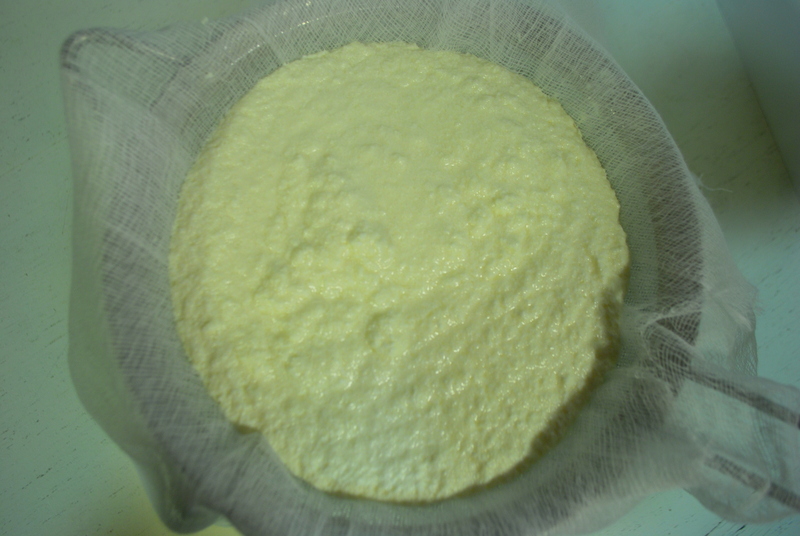 Let sit for 5 minutes, then pour through a fine mesh sieve that has been lined with a few layers of cheesecloth. The whey that is a byproduct should be saved and used in making your next few loaves of bread. This batch of ricotta was used for making cannoli, but you can use yours in lasagne, ravioli, or just spread on some toasty crostini. The possibilities are endless and the consistency is delightfully creamy. Wow, I never knew it was so easy to make, I’ll be making my own from now on. Who knew it’d be so easy to make this ricotta cheesy?